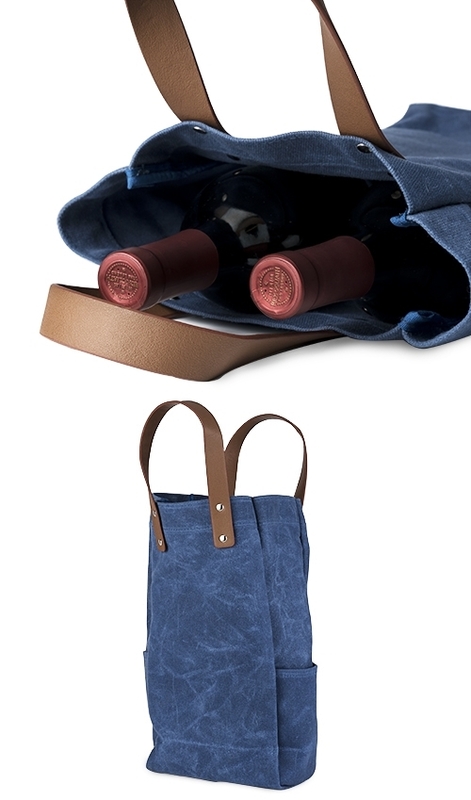 Made from durable, water-repellent waxed canvas, this wine bag is ready to go the distance. It holds two standard wine bottles and is fitted with sturdy leather straps for easy carrying. Includes two side pockets, perfect for carrying a corkscrew and bottle opener.